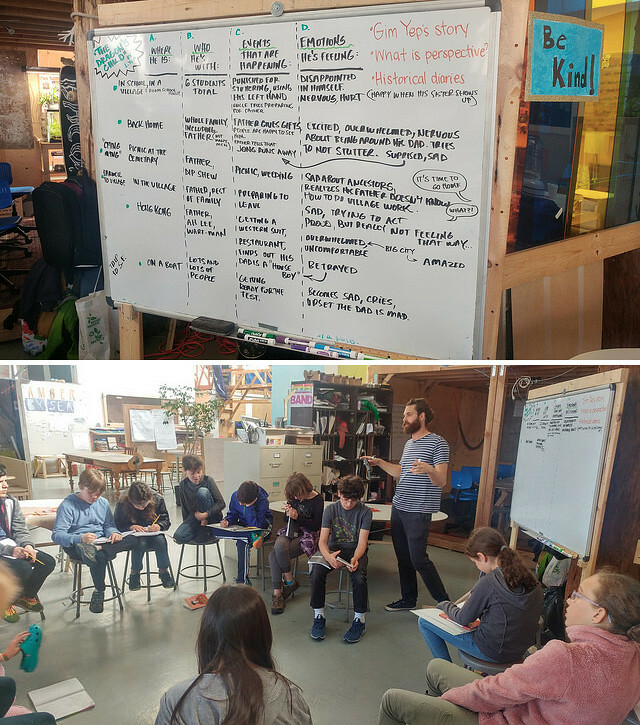 The week before spring break took us on a journey to Angel Island and through the lives of the Chinese immigrants of the late 1800s and early 1900s. 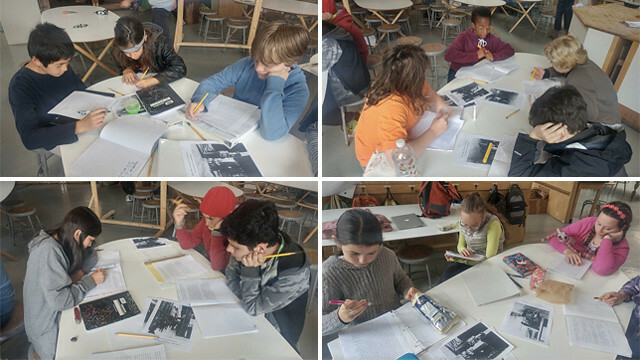 On Monday, the Teal and Violet bands studied historical documents pertaining to the Chinese living in San Francisco’s Chinatown and the rest of the US, such as the Cubic Air Ordinance and the Chinese Exclusion Act. We also examined a number of historical photographs of Chinatown, observing the traditional clothing and hairstyles, as well as the lack of women. Exploring these documents and photos, the two bands began to piece together what it was like to be a Chinese immigrant at this time and all the various ways in which the white government was working to make their lives increasingly difficult in hopes of driving them out of San Francisco and the United States altogether. Using historical documents and photos, the Teal and Violet Bands uncovered the history of the Chinese immigrants in San Francisco. To continue building our math skills needed to calculate density, we took an afternoon to review long division with decimals in the quotient (that’s the answer to a division problem for those that it’s been too long to remember.) 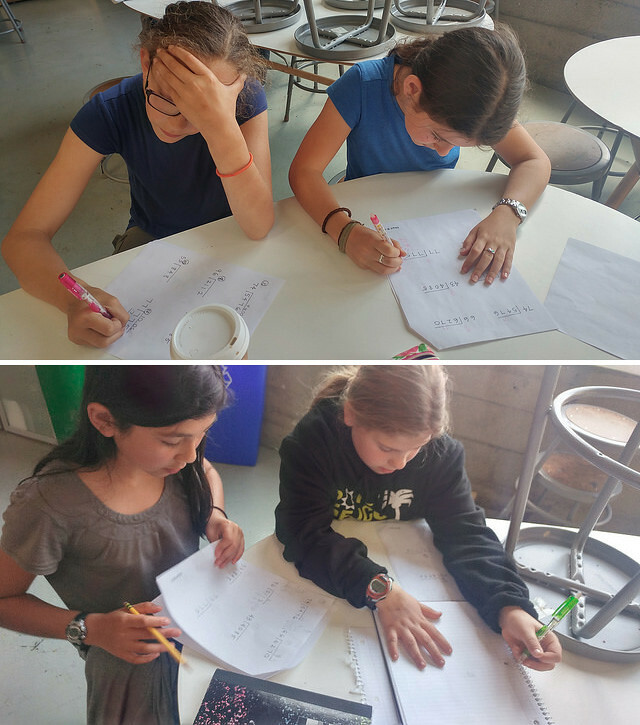 It’s entertaining to see how much everyone dreads long division and worksheets until that moment when it all clicks and they can’t wait to solve the next problem. That feeling of success and accomplishment is pretty amazing. Sometimes a worksheet is necessary. After finishing The Dragon’s Child, we walked through the story of Gim Yep. Written very much like a diary of sorts, we recalled the people, places, and events he wrote of, along with the emotions he experienced throughout. This conversation built perspective around his life and experiences. It allowed the bands to put themselves in Gim’s shoes and the shoes of others he encountered. 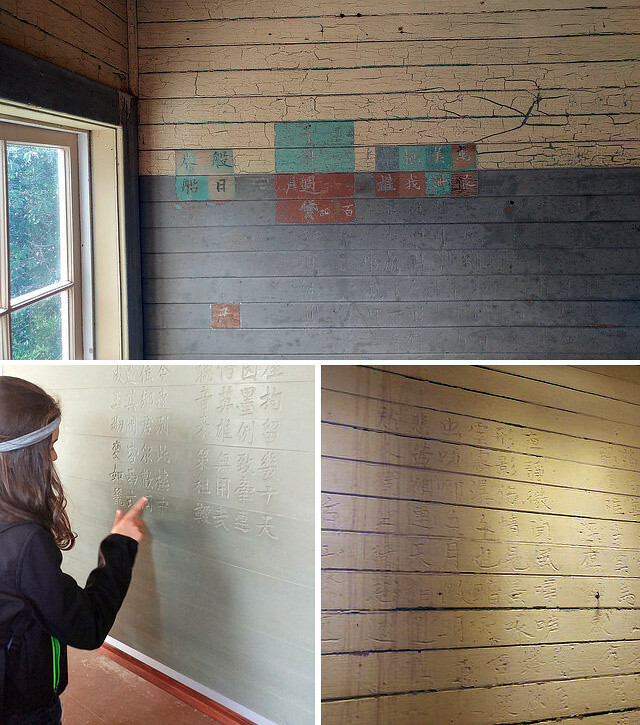 It began to lay the foundation for the historical diaries they are currently working on. Talking through the events, emotions, and characters of The Dragon’s Child. 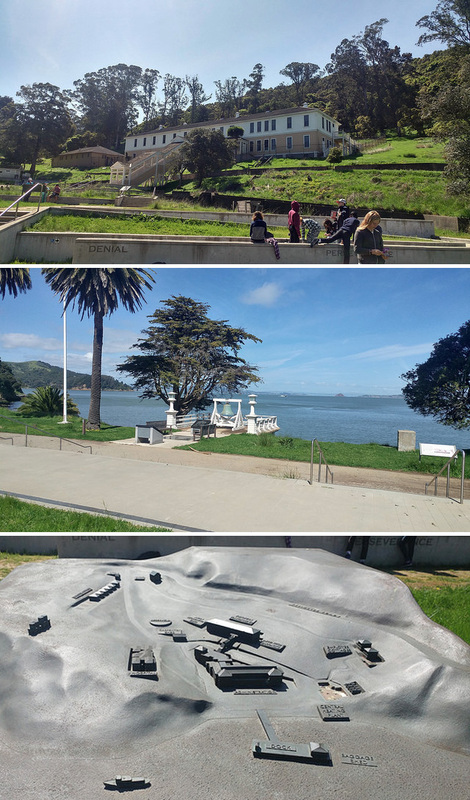 On Thursday, we took the ferry to Angel Island to visit the Immigration Station. It was incredibly powerful to see the detention barracks in person after reading about the experiences of the immigrants in The Dragon’s Child and in the historical documents. We saw firsthand the tight quarters they were forced to stay in, the small outdoor spaces they were allowed to walk in once a week, and the stories carved in the walls in the form of poetry. Many observations were made about the number of people forced to sleep in one room and the poor quality of the bedding they were supplied with. Being in the space created a real sense of empathy and perspective, and started a number of conversations around the historical diaries they were beginning to plan. It is a big leap for them to put themselves so solidly in someone else’s shoes, but it is something they are ready to challenge themselves to do. 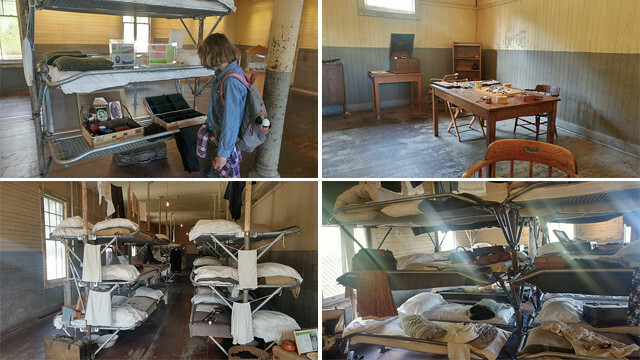 Seeing the bunks and the belongs in the detention barracks really began to put the immigrants’ experiences into perspective. The Angel Island Immigration Station detention barracks and dock. The stories of the immigrants are right there on the walls in poetry. This entry was posted in Teal Band, Violet Band and tagged Angel Island, Angel Island Immigration Station, arc: By Sea, Chinatown, Chinese Immigration, Immigrant Stories, long division, San Francisco. Bookmark the permalink.